The LG G3 was our absolute favourite phone. It was a bit unconventional in some ways, offering you features Android didn’t. It worked well. It had a great camera. It threw in things like a Health app, and gave you a good screen size with a lovely display. The LG G4 was bit of a miss though. It tried to build on the momentum LG G3 created, but apart from adding slight bits and bob to the G3, there wasn’t much to write home about. The world had moved on, and it seemed like LG hadn’t. LG needed to do something different, and LG delivered. 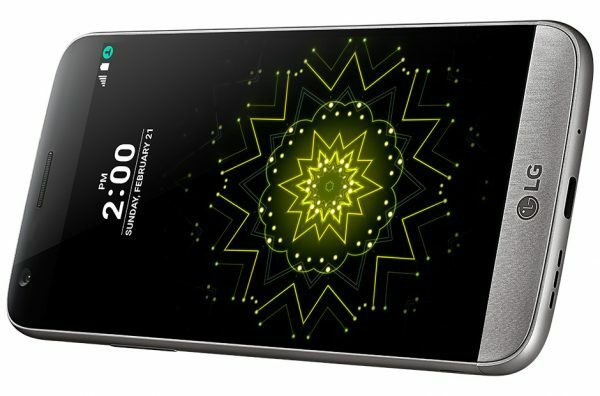 The LG G5, and at the time of its release this was true, was the only phone that took the concept of modular phones and took them a step ahead. Featuring removable modules that can be removed or added, giving you extra features, this phone was ready to give 2016 a big modular bang. Does it deliver on all the promise? In our review we’ll be taking a look at how it performs, and what stood out for us. While the modules are quite a bold statement from LG, showing its commitment to both change and innovation, the phone itself boasts very decent specs in terms of power, as well as a great camera too. The LG G4 was just a bit boring. The LG G5 is exactly the opposite. Take a look at the phone and pretty much the first thing you notice is how the glass softly curves on the edges, giving you a soft glossy glow. This is called the 3D Arc Display, and it gives your phone a nice curved screen feel despite having a flat screen. The phone also features an always on display, so whether your phone is awake or asleep, you will always be looking at the time and your notifications. The metallic finish of the phone is also finished with a special coating, called Shiny Cut. This one doesn’t quite have the desired effect. While it maintains the beautiful finish of the phone despite the age, it does give the phone bit of a plastic like feel. Also, just to mention that I have noticed that the Shiny Cut has been polished away to show a chrome like metal finish beneath it. This means that the case you may be feeling a bit lazy about is rather important! 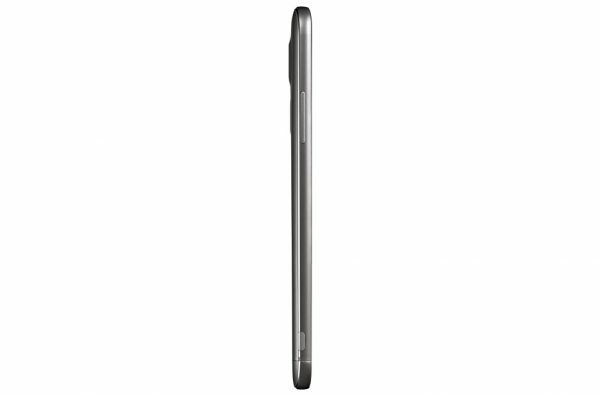 However, overall, the phone feels good in your hand, and the slight curves give it an extra bit of comfort. 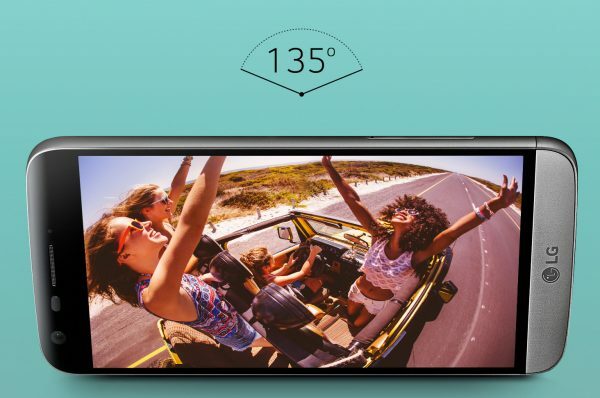 Looking at the phone itself, you notice the 5.3″ display in the front, with the front camera on top. The bottom seems to be a bit bigger than your average phone, but that is because this is where the modules go in. The bottom proudly displays the LG logo, and sits flush with the system. You wouldn’t notice it being a separate part generally. Look at the back and the biggest change you notice from the previous generations is the lack of the back volume keys. LG has finally given up on that idea, and moved the volume keys to the side, like pretty much everyone else. However, the power button is still at the back, and in this case it hidden behind the fingerprint sensor. A good touch from LG that, I quite liked that. You can also notice the dual camera set up on the back, which gives you the wide angle performance of the phone, along with the flash and the laser focus that has been part of the LG G series for a while. They have the SIM slot on the right, and the left side shows the volume keys, as well as a button at the bottom, pressing which pops the module out. You obviously have to be careful not to press that, as by default it pretty much the pops the battery out. I was a bit worried that it may be too easy to just accidentally press this while fiddling with the phone, but the button is actually quite rigid and you won’t be pressing it by mistake. The top has the IR blaster, which means this phone still acts like a remote control, and the headphone socket. 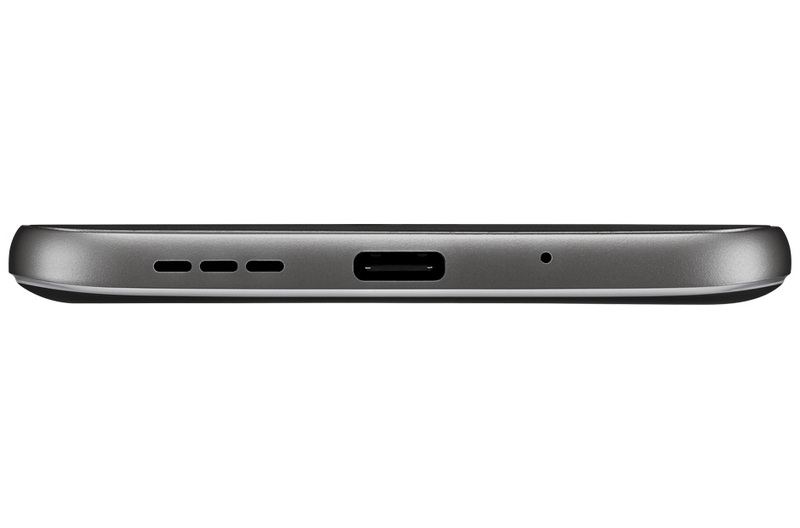 The bottom features the USB C slot along with the speaker. So let’s start with the modules. I didn’t have a chance to play with them, as our review unit only came with the main phone and the battery module attached to it. We have two options, a great sound module or a great camera option. Both sound promising on paper, but they come at the cost of smaller battery lives (than usual) and the need to have to turn the phone off just to swap a module. Would have been great if there was a small battery slotted somewhere in the phone which would let you swap modules around without having to power it off. This is the feature that LG is hoping would cause the biggest excitement in the phone world. However, the difficulty in swapping modules, and probably their prices at the moment mean that this really hasn’t been adopted much. 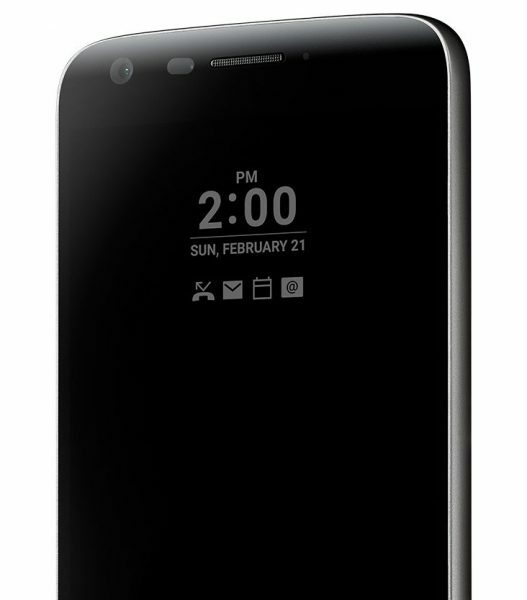 Also, now that Motorola has come up with their own take on modules, LG may need to rethink this for their next phone. However, sceptical as I may sound, I think LG should still stick with this and keep at it. This is another feature that makes the phone stand out. While the Galaxy S7 features a similar one, LG have done this so much better. Not only does it only use 0.8% of the battery, it displays all the information without having to wake the microprocessor up. This means that the always-on display has pretty much no real implication on the battery life. Unlike the Galaxy S7 though, it shows off all of your notifications as icons. Much like the Always On display that has featured in the Windows Phone devices in the past, this one gives you everything. A good touch, and the way it works is pretty clever. Of course, you can turn it off if you like. The LG G series has been boasting a great camera since at least the G3, where it was one of the best ones around. 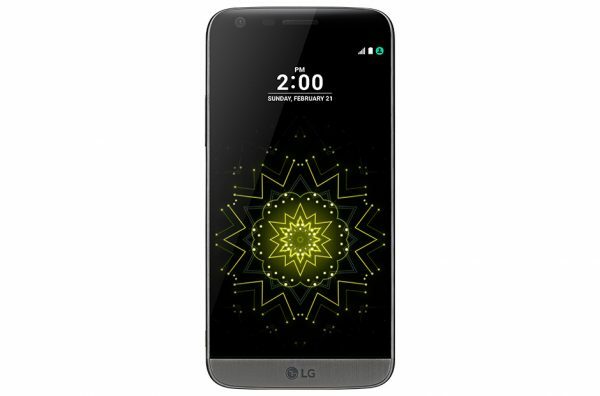 The LG G5 has taken the very same and added more to it. There are two cameras, the main one being 16MP, and a second one, which is 8MP, that helps to bring in the wide angle effect. Having two cameras also gives you a feature which gives you picture in picture. Both the cameras together give you a 135 degree wide angle, and the UI just shifts between one to the two just by zooming in and out on the UI. You also get a wide aperture, with F1.8. All this means that you get a camera that gives you great shots, captures great light, and the colour is fairly natural. With a high spec processor and 4GB of RAM, I would be lying if I said I noticed any lag. There was pretty much none, and the only way you can notice loading times is by filling this up with games and turning them on one by one. Overall though, the whole thing worked really well. In terms of UI, LG have added their own suite of apps as well as a SKIN on top of the usual Marshmallow. This gives the users a few extra things to play with, such as being able to change vibration settings and intensity, the ability to have or not have an app drawer, or even change the icons, and their sizes, for your apps. You also have the option to have a Smart Bulletin, but unlike some others, it is purely optional. Other than that, the Settings pretty much let you do what you want, and chop and change things as necessary, the UI is smooth, and the apps and widgets behave themselves as you would need. You also have the ability to add more to your Home, Recent, Back keys, something that has been in the LG G series for a while. If I had to pick one thing that disappointed me on this phone, it has to be the battery life. 2800 mAh is just not enough, when most competitors with such phones are giving you more than 3000mAh. So good, yet so far. While the phone never really ran out of battery for me in my daily use, I did get nervous at times and put it on charge in the middle of the day. On average, it would be around the 10% mark by the time I finished and got home, and at my age, that is a lot earlier than you’d imagine. 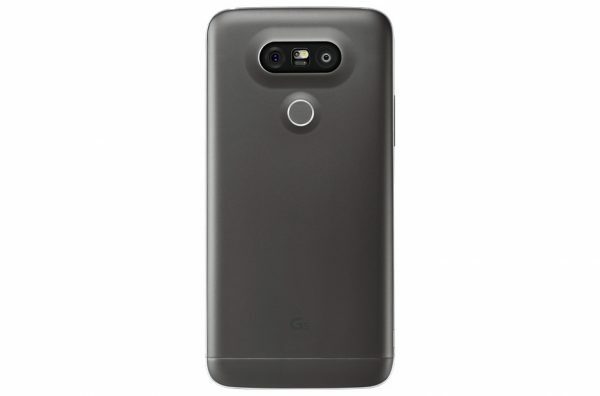 More information on the LG G5 can be found on the LG website. It is available from pretty much all phone companies in the UK, on various contracts, as well as online retailers such as Amazon. Unlocked, it retails around £459. The LG G5 is a phone with a few hits, a few quirks and a battery sized miss. The hits are your camera, the performance, and even the software performance and options. The modular quirk is nice, but I don’t really see that being used much in the long term, not in its current shape and form. The poor battery life is just a bit silly. Having said all that, the flagship from LG costs a lot less than many others, and that definitely gives it some kudos. All in all though, I am glad to see that LG had produced another brilliant phone, though not without its quirks and imperfections.